Millions of years ago, a little beetle lived among beeches and buttercups on a sparely vegetated tundra at the head of a fjord in Antarctica. The beetle was small — less than a centimeter long — and it was brown with the typical six legs and two antennae attached to a body protected by a hard shell. The authors of a new paper announcing its discovery, published in the journal ZooKeys, named it Antarctotrechus balli, or A. balli for short. The first part is a combination of the place the specimens were found, and the formal name for its modern relatives. The second part, balli, is for the beetle scientist George Ball, "in celebration of his 90th birthday," the paper says. Entomologists Allan Ashworth of North Dakota State University and Terry Erwin of the Smithsonian Institution wanted to honor Ball's work mentoring young beetle researchers over the years. 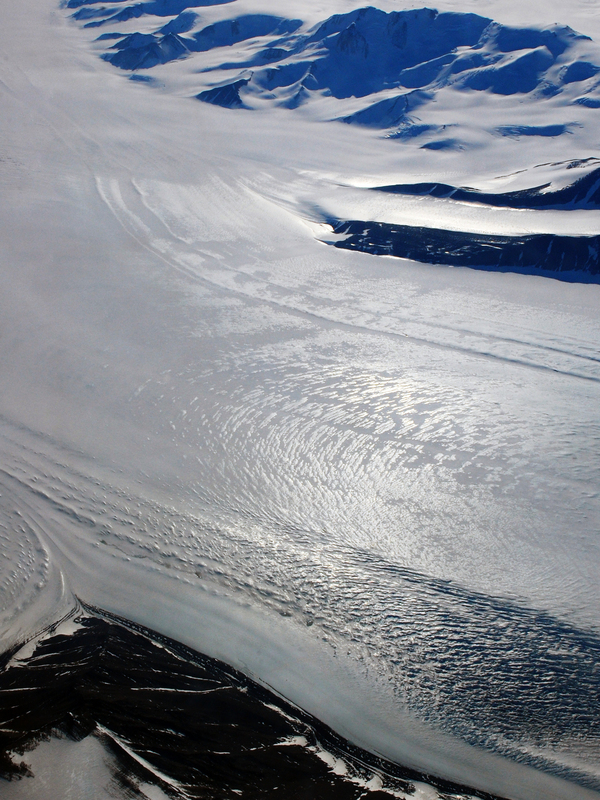 Going forward, the authors ask that the long-extinct insect be known as Ball's Antarctic Tundra Beetle. Evidence of A. balli's existence was not easy to find. It lived in Antarctica during the mid-Miocene period, between 14 and 20 million years ago, when the continent was much warmer than it is now. The authors hypothesize that parts of dead beetles washed or blew into a stream channel, choked by sediment and leaves until until they were finally buried under rock and soil and covered by an advancing glacier. Millions of years passed before Ashworth and Erwin found the remains of two beetles, fossilized in a rocky ledge near a glacier. The fossils they found contained fragments of the hard covering over the beetles' wings, as well as "twigs of southern beech wood, moss stems [and] seeds of buttercups." The wings themselves were not preserved, so it is unclear whether the beetle could fly. 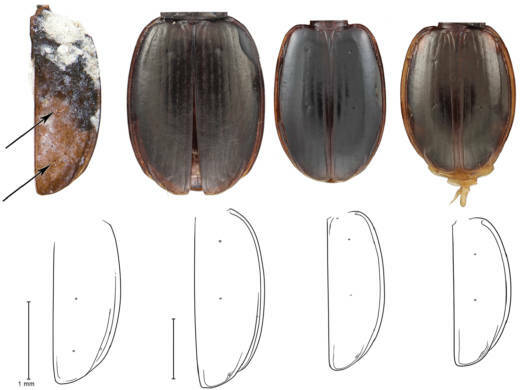 The paper notes that the closest relatives of the newly discovered beetle are species that still live in Tasmania and South America, which used to be connected to Antarctica. Today, Antarctica is not a great place to be an insect. The authors write that the "lack of available moisture" (Antarctica is a massive desert), "low temperatures" (Antarctica is the coldest continent on earth) and lack of vegetation (the continent is covered in snow and ice) are "limiting factors" for insects trying to survive there. Even the ones who do survive live at the outer edges of the continent, they note. Right now, Ashworth and Erwin write, "the living fauna [in Antarctica consist] of three species of flightless ... midges."